A friend who found Foucault's The Order of Things useful and interesting recommended that I give the Archaeology of Knowledge a try.I had enjoyed his first book, Madness and Civilization, so I took up the challenge. I spent an extremely frustrating month trying to make sense of The Archaeology and then gave up.From the first page on Foucault uses totally unfamiliar concepts in a vocabulary loaded with neologisms which he neither defines nor references.Since the concepts are used in extraordinarily complex locutions, invariably along with other idiosyncratically opaque terminology, it seems impossible to discern their meaning from the context in which they occur. I have since been advised that The Archaeology of Knowledge is much more approachable for one who has read everything else that Foucault has written, and who has also mastered Derrida and Kristeva.That may be true, but it's not a risk I'm willing to take.Even if I did eventually manage to decipher the code used in producing The Archaeology, I doubt that the intellectual payoff would be substantial.Foucault is the kind of author who delights in keeping people guessing, making sure that no one can ever be certain as to his meaning.It all sounds very profound, but what does it mean.When all is said and done, Foucault wants to keep us off balance, uncertain, but somehow deeply impressed, as in "Perhaps this is what Foucault means by discursive formation!Ah ha! "Or, "Oh, I see:dispersion refers to the post-structuralist notion that any signifier is inevitably modified by an infinitely large number of other signifiers, so its meaning is never absolute... I think ..."But we're never sure. I have since read interviews with Foucault written when he was at his most influential.Success seems to have been an intoxicating experience for him, and he indulged himself in a sort of yes-I-am, no-I'm-not obfuscation.There is a common and suitably profane English term for this, head-[blanking], sufficiently familiar so that most readers can fill in the blank.Readers who find virtue in head-[blanking] by construing it as an instance of "the death of the author" are kidding themselves.An author who writes an incomprehensible book that somehow gets to be taken very seriously is not dead, but very much in control. In any case, I'm sure that The Archaeology of Knowledge will have a long life in references and indexes as Foucault's major methodological work.Learned people, moreover, will purport to discern its meaning and will discuss it with ease and assurance. I had a similar experience 30 years ago when I studied ethnomethodology.I could talk about it with facility and self-satisfaction, but I couldn't shake the vague suspicion that I had merely become adept at exchanging utterances in a shared but meaningless logic of head-[blanking]. As an addendum, an irate reader of this review took me to task for evaluating a book that I do not have the conceptual wherewithal to appreciate.He may have a point, but I've read Habermas, Eagleton, Anthony Giddens, Peter Berger, and other contemporary social and cultural theorists with little difficulty, so I don't think it's unreasonable to expect to be able to make some sense of Foucault. My sympathies to anyone who has to read this.This was something I had attempted to read on recommendation of a professor.Later on in my graduate studies I had to read it.It is a required reading for anyone studying rhetoric.If you can get through it, you are destined for greatness.It is reading that requires intense concentration and no interruptions! Foucault is not a light read - you will spend several hours just trying to interpret this text.His wording is unusual and complicated, and sentences can run on for almost a paragraph.Sometimes you'll just want to tear your hair out. 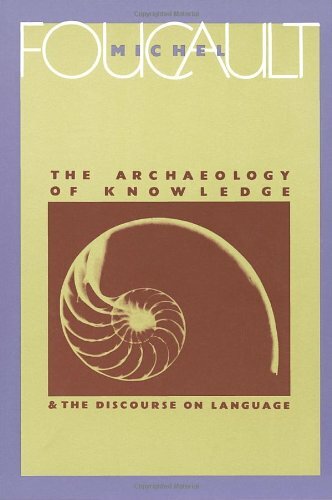 Viewed against the background of Foucault's other books, *The Archaeology of Knowledge* is a curious work. In it, Foucault not only explicates the results of his early books on madness, medicine, and the history of the human sciences: he also offers programmatic statements that link up his methods with the main stream of 20th-century French historical researches. The *episteme* linking seemingly disparate fields of inquiry is here explicitly presented against the background of Ferdinand Braudel's *duree*, and other famed devices for recontextualizing historical facts. For Foucault is intent on demonstrating his method without reference to (*against*) the philosophical luminaries that had until then monopolized such meta-theory. 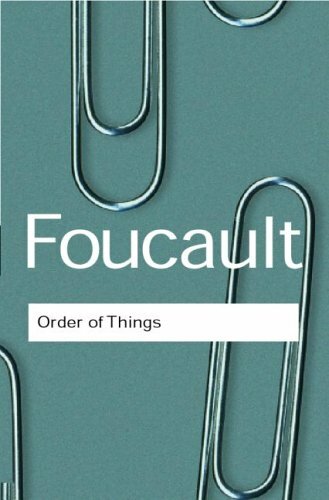 The uninformed, and perhaps some of the informed, may be surprised to find Foucault actually considering the fact itself: hardly a promising beginning for showing how everything seemingly natural about social life hinges on systems of power. But it is precisely the historical fact that Foucault is concerned with, the dry, value-free content of the "archive": he is interested in the conditions of the possibility of grasping the events of the world in the manner of the historian, and proceeds to elaborate a system for comparing and construing such data without reference to processes of consciousness or any other valorizing quantity from outside history. He proceeds to do this by elaborating a pragmatics of discourse quite unlike linguistics of the Saussurean (or Gricean) variety, studying how contexts of information combine to produce a happening intelligible as an event, not only as a linguistic counter or evidence of an intention. His analysis strongly resembles that of the celebrated Thomas Kuhn, who in truth aimed not to relativize science but to explain its true "background" in actual scientific practice. Drawing many examples from (and correcting naivete in) his books *History of Madness*, *Birth of the Clinic* and *The Order of Things*, Foucault attempts to show how an intellectual history can carefully collate and juxtapose historical information without imposing an idealizing "mentality" on the originators of a discourse. Recapping as it does his work of the Sixties, fans of Foucault's analyses in *Discipline and Punish* and *The History of Sexuality* may expect this book represents only "transitional" views of Foucault's, later discarded in favor of a full-blooded Nietzschean pursuit of power relations. But "genealogical" theories are not ignored here, particularly in Foucault's inaugural address for the College de France, "The Order of Discourse", generously included at the end of this volume. It is true that Foucault's theory does not represent the program of a "history of truth" elaborated in "Truth and Juridical Forms", early lectures on the history of the penal system included in volume 3 of the New Press's *Essential Works*. But by the same token those interested in the French social theorists who preceded Foucault will find that Foucault's engagement with their problems, especially those of his teacher Althusser, is here much more explicit than elsewhere. In conclusion, this book is unlikely to grab you unless you have already made a significant investment in Foucault, or "contemporary" history more generally. But for anyone who has indeed spent some time thinking about such things, this book is an anodyne statement of important and influential views about history and how it is done. Wow, this covers everything. Hoerth presents a massive compendium of archaeological theory, discusses essentially every major piece of evidence, every remaining argument, and every recent consensus in the field. His writing considers internal and external evidence -- the Bible, but also archaeological tells. His writing is readable, and, occasionally, engaging. It is possible to compare this to Oxford's 'History of the Biblical World,' although Hoerth did this all by himself, and is more willing to discuss controversy. The book was good as new. It even had the new book smell :) The reason I gave you 4 stars is I thought the book was slightly expensive and had friends who found it cheaper on ebay. Thanks for getting it to me so quickly. 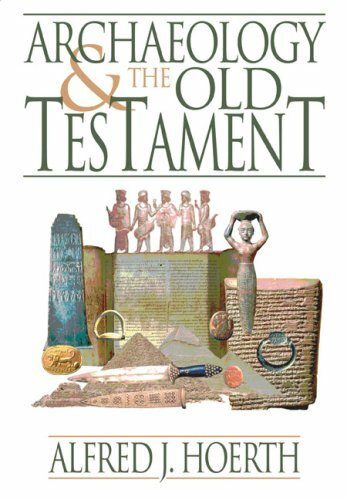 This book provides insights into the ancient world with photos of archaeological finds and sites that relate to the Bible.The text is scholarly, but readable for the amateur. Alfred Hoerth has produced one of the best books on OT history. This is a valuable college/seminary level reference source which should be a "must" as Bible student personal resource. Hoerth is appropriately supporting the early date of Exodus (based on First Kings 6:1 and Judges 11:26, mainly)and extrabiblical history. I highly recommend to acquaire this Hoerth's work as a profitable investment. This is a great book. It is detailed yet concise. Its maps and charts are amazing. Thank you very much for fast delivery, item in good condition, all went well, highly recommended seller! I think most scholars and educators in the history of philosophy would put this in the top ten most important philosophical works of the latter half of the 20th Century, despite whether one largely agrees with Foucault's views or not. This is because the work has had enormous influence not just in philosophy, but also in literary criticism, historiography, social psychology, theology, and a host of other disciplines within the humanities and social sciences. What I think is interesting is that if you are either a friend or foe of deconstructionism, you will find plenty to appreciate in this book.In fact, even if you can't stand (or can't understand) what deconstruction is all about, you can safely give Foucault a try.Though very heavy reading, he is far more structured and organized in his argumentation than, say, Derrida. If post-modern meta-theory (i.e. discussion of how we might take a step back and judge whether the very principles of how we form theories may be called into question) is of interest to you, in any field, then you probably will be glad for having read this book. About this edition: It's a shame they did not keep the print of the painting, Las Meninas, on the cover -- as an older paperback version had borne.Foucault talks about this painting at length in the book, and there is no replacement for seeing it.A black-and-white print on the inside is not nearly as nice as the larger, color one that was on previous covers. This was an eye-opener for me. Not so much that Foucault's insights are convincing, but in reading him I achieved a first glimpse of how much of the language used by academic writers conversant in "theory" is taken from this book. After a little time spent reading this, I felt more comfortable with academic writing. Not so much that I understand better what the scholars are saying, but it's now clearer whom they are parroting. It consequently lets me know where an author's allegiance lies. More a curiosity and an exploration in the mental discipline of standing rigor up to total relativism. Read this classic if you're (a) interested in the roots of the nascent deconstruction movement (b) thick skinned enough not to be distracted by the author's biases. I read it out of a desire to see my suppositions challenged; it succeeded well for that. The 1994 Random House / Vintage edition astonishingly does not include an index.Without an index, the text is virtually useless for students and academics.One is forced to rely on Google Books in order to find terms in the text.If you intend to use this book for anything more than casual reading, avoid this edition. This book has dramatically changed the way I conceptualize reality.It is hard to follow but incredibly insightful. It will hurt to get through but once you do, you might consider practising your best Mr.Universe pose and claiming -- in the words of the the "Governator" --"No pain, no gain." Im only considering step two. I might just skip it and go strait to step 3. I purchased this for our 12 year old daughter along with several other books on Archaeology for her use during our "Independent Activities Period" over the summer.I read through it quickly and found it generally well written and interesting.I would have liked more text on how archaeologists do their work, more details on the discovery processes, and more describing how a small fragment is used to reconstruct the original.My impressions is that the book is written more for the High School crowd.She is reading about a chapter a day and asks good questions over the material.Overall, I'm pleased with the purchase. 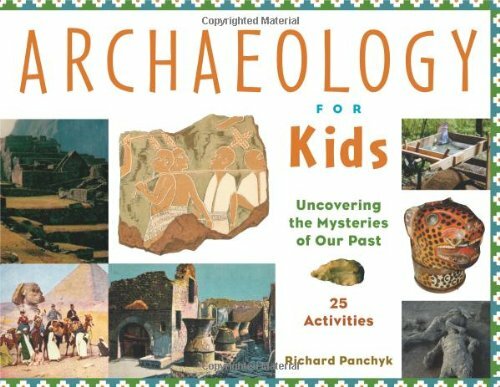 "Archeology for Kids: Uncovering the Mysteries of Our Past" is intended to foster a curiosity about this particular science in budding archeologists.Richard Panchyk begins with a Time Line that starts in 65 million B.C. when the last dinosaurs died out and ends in 1997 when a new Egyptian burial ground was found, containing almost 10,000 mummies.Actually it is not the end of the dinosaurs but the first Ramapithecus, Australopithecus and other human ancestors that matter more because this time focus on not only key historic events such as the end of Roman Empire and the American Civil War, but key events in the field of archeology, such as when Schliemann began searching for the city of Troy and the Australopithecus remains of "Lucy" being found.This will give teachers an idea of where (and when) this book can be helpful in teaching about the past to today's students.Then there are the more than 25 activities that will help those young students understand archeology and the ancient cultures that have been uncovered. Panchyk beings with an Introduction addressing the question, What Is Archaeology?The short answer is that archeology is the best tool we have for solving the mysteries of ancient lives.The goal of this book is to teach young students about how archaeologists work and what they have discovered (so far) about the past.That is why the first chapter outlines the eight basic steps of archeology, which begins with the question "What do you want to find?" and ends with the preservation of what you find.In between we learn that having money is just as important as engaging in excavation.Once you know the basics of the science, then you can look at six particular periods and places of ancient history that have been studied in this manner. Chapter 2 is devoted to The First People and has activities for making molds of footprints and a spark in the dark, measuring brain capacity, and how to create stone tools.You can see that these are real world activities.There is also a section that explains why most archaeological sites are underground even if ancient people did not live there.Chapter 3, The Ice Age and the New Stone Age, includes an experiment to see what sort of items are preserved well in ice, building a Paleolithic fireplace, making cave art and a microlith tool, experimenting with agriculture, and an exercise to see what we can learn from finding animal bones about diet and lifestyle.Chapter 4, The First Civilizations, focuses on Sumeria, Babylon and Egypt, and has a pair of interesting sidebars, one that lists some of the common remains of civilizations that can be used to identify them and another concerning independent invention of things like makeup and writing.This chapter includes a seriation game (putting things in date order), a problem involving what happens when different people have different money and want to buy things from each other, an exercise involving pottery classification, and how to build your own screen for sifting artifacts. 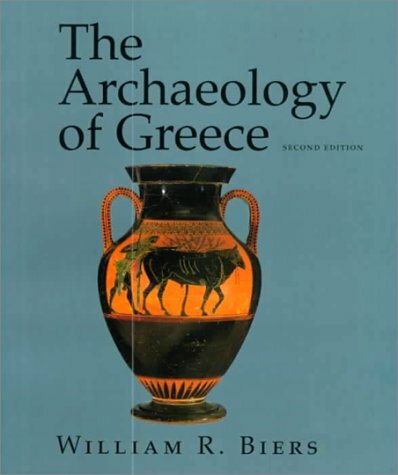 Chapter 5 is about Greece and Rome, and off of Schlimeann's discovery of what he believe to be Troy there is the first part of a stratigraphy game.You will also find an underwater archaeology game and instructions on how to make an oil lamp.Chapter 6 is about discovering The New World and has assignments for finding the circumference of an artifact and a lesson on how to preserve artifacts, along with the second part of the stratigraphy game.The final chapter is about Historical Archaeology, and deals with the science as it applies to studying what happened only a couple of hundred years ago rather than thousands of years in the past.Reading historical maps, finding a historical site, figuring out tree rings, creating a time capsule, using historical documents, and learning about occupations from things like city directories and phone books, are the final activities.The back of the book includes a Glossary of key terms (e.g, "artifact," "superposition"), Web Sites for Further Exploration, and a Bibliography. This book is targeted for a college audience and is quite descriptive of what terms are important and what to look at in the field. Would recommend it to any college professor or student. This book has some interesting anecdotes, but it can be hard to follow. The topic is VERY introductory. Great textbook perfect for independent study! How have the societies and events of the past affected the shape of the world as we know it today? How can we use archaeological data to help us understand the peoples and culture of the Ancient Near East? Can archaeological studies help us to understand the Bible, and if so, how? These are just some of the questions discussed in this fascinating journey around the archaeological remains of the Ancient Near East. James K. Hoffmeier provides the reader with a review of Bible history and examines the role of archaeology in understanding the Biblical text. Beginning with Genesis, this intriguing survey follows the Bible narrative right through to the early churches of Revelation. The book is divided into three sections—two of which cover the Old Testament and one to the New Testament—and is interspersed with stories from the author's own experience as an archaeologist, which bring the thrill of archaeological discovery vividly to life. Beautifully illustrated with photographs, charts, maps, diagrams, and illustrations of sites, this striking overview is for anyone interested in learning more about the societies and events of the Ancient Near East and how they affect our understanding of the Bible. I have always been fascinated with the story of the Bible, and especially its discussions of the early origins of mankind. I have also always found archaeology fascinating--I might have been an archaeologist if not for the heat of the Middle East--so I was ready for an interesting, and even faith-filled journey in reading "The Archaeology of the Bible." For the most part, I was not disappointed. Hoffmeier begins the book by making it clear he will seek to affirm the Bible, yet he never fails to be scientific, rational and reliable in his assertions. 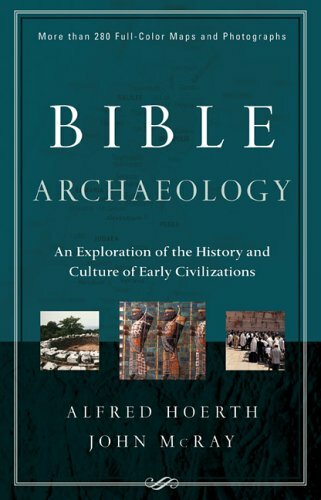 The early portion of the book gives an overview of archaeology and its interest in the Bible, discussing the flaws of early archaeologists who often distorted discoveries simply in their enthusiasm to prove that the Bible was true, and equally, those who set out to prove the Bible was myth and story only. Hoffmeier admits we cannot prove most of the Bible stories, but we can explore the history, culture, and what archaeology has discovered from biblical times to see how it coincides with the biblical narratives. I found his discussion throughout to be absorbing and full of common sense, not misguided by what he wanted to be found. For the most part, readers of the Bible will be happy to learn that archaeological discoveries do support much of the Bible's narrative. For example, while archaeology cannot prove God parted the Red Sea, it can reveal a substantial argument for the Israelites' presence in Egypt and their subsequent conquest of Canaan. The early section of the book, through the early stories of Adam and Eve, Noah, Abraham and Moses, looks to what we know of ancient Sumerian, Egyptian and Palestinian cultures to determine the likelihood and context of the stories of the Bible. The most fascinating part of the book for me was the discussion of Israel's conquest of Canaan up through the Babylonian captivity where the most detail seems to exist to support the Bible stories. The discussion of the conquest of Canaan was especially well proven, arguing that evidence of a sudden destruction of the cities of Canaan has not been found because no such mass destruction took place but rather that Israel slowly conquered the land so as not to let it grow into wilderness or be overrun by wild animals; Hoffmeier references the Bible for support of his statements. 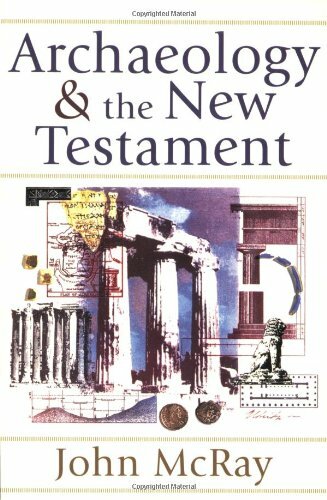 The last chapters about the New Testament were also interesting although I felt less archaeological research was necessary here since it seemed many of the places are well marked and known due to Christian devoutness in remembering these places, although as Hoffmeier explains, Christian tradition about where Christ was born or crucified or buried does not necessarily match up with archaeological findings. My only complaint about "The Archaeology of the Bible" was that I would have liked to read more about the process of archaeology, especially the digs and the discoveries. A lot of the time, I felt Hoffmeier was just telling us what was discovered and how it related to the biblical texts without getting into the details of the discoveries. I wanted to feel I was getting my hands dirty and to feel the thrill of discovering artifacts with him. I think the book could have been presented with a bit more of a feeling that a mystery was being solved to build suspense to keep the reader's attention, but Hoffmeier may have felt that kind of presentation was more for the television and movie producers than a scientific work on archaeology. 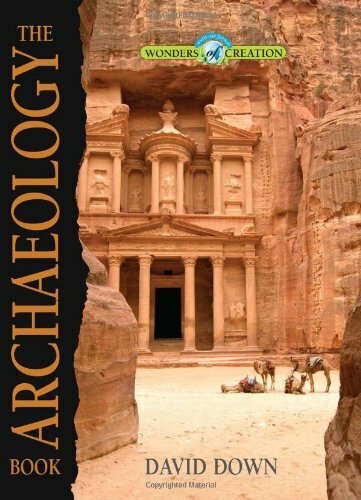 Anyone interested in archaeology will find this book of interest. Anyone interested in the truth behind the Bible will find much to consider. 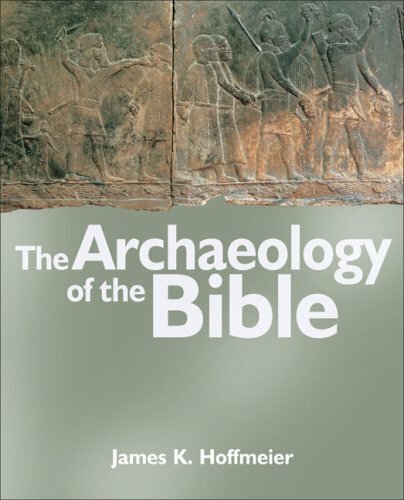 Anyone who wants to find archaeological support for the Christian and Jewish faiths will not be disappointed by "The Archaeology of the Bible" by James K. Hoffmeier. Hoffmeier's book has value for scholars and laypersons alike. Though simply written, the author's solid scholarship and on-site fieldwork are obvious at every point. Overall, I like Hoffmeier's work (though I disagree with Hoffmeier's 13th century B.C. date for the exodus--the evidence better fits a 15th century B.C. setting). 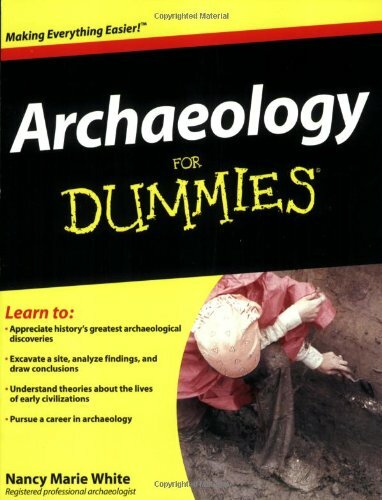 Well I ordered this book for an archeology class that I took last semester. Unfortunately I didn't use it at all for the class. On the other hand, I often picked it up to read when I was bored. It had a lot of interesting facts and history and theories that came along with the archaeological world. When I first saw there was an Archaeology for Dummies book, I let out a groan.While fanciful depictions of Egyptians, Aztecs, or Indiana Jones generate a large amount of public interest in the subject, those depictions can be a tad out of line with the experience of today's archaeologist.I must say I was pleasantly surprised by this book!White spends a great deal of time chronicling the realities of discipline, giving good insight into the who, what, where, when, why, and how archaeology is done.Quite honestly, I wish this book had been around when I was an undergraduate anthropology major!I'd highly recommend its use as some sort of supplemental text in an intro-level archaeology or anthropology class.Older children and adults with a strong curiosity about archaeology would also benefit from a reading of this book. Opinions seem to being to extreme. Its an introduction for Dummies...as such it lives up to the brand expectation and delivers a solid well rounded and broad coverage of the topic. As a professional archaeologist, I was interested in how the author introduced the archaeology that people might want to know.Consider a high-school student considering a survey of the family farm for a science fair project, a landowner who learns she has a site on her property and wants to know her rights and responsibilities, a project manager who gets a letter from somebody called a SHPO saying that the project cannot proceed before certain things are done.Well, this book won't help any of those people.Neither does it convey well the magic that we archaeologists perform - taking garbage and lost items from times past and using them to construct images of how people lived.Lots of things are mentioned here, but few are actually explained.Some information is labeled "technical stuff," and the reader is advised that he doesn't have to read it, but these set-asides seem more or less randomly chosen; on one page metal detectors are in such a set-aside, but on the next page a geochemical sampling program using phosphate detection is not.In summary, I can't think of anyone who is really likely to benefit much from reading this book. I have not read it yet, but thought others might want to know this book is in English, not Portuguese as the title and description suggest.This is a VERY inexpensive way to get a copy of this textbook since archeology theory and practices has not radically changed since 2004 (unless you are reading this in the year 2104). I did a lot of research and finally got this one from the library, but I ordered it from Amazon.com about three chapters in because I loved it so much. It covers each topic with in archaeology in good depth, but not too much information. There are great inlays with information on particular sites that illustrate the points discussed in the chapter. 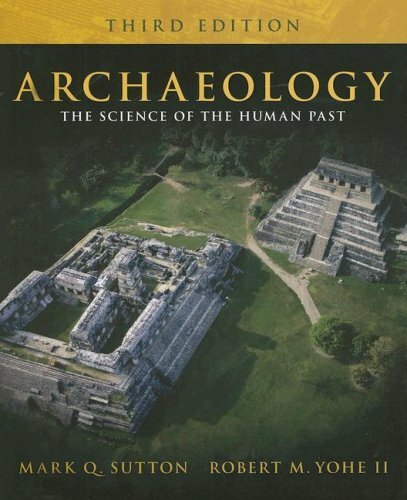 I have a minor in Archaeology and I found this book to be an excellent refresher and very interesting. We were assigned to tests for my Principle of Archaeology class this semester. This one and the one from Sharer-Ashmore. I bought both of them. The material in both is specific, it covers all the major topics of the discipline and they are great. This is a wonderful textbook. The Handbook of South American Archaeology has been created as a major reference work for archaeologists working in South America, professors and their upper-division undergraduate and graduate students in South American archaeology courses including areal courses (Central Andes, North Andes, tropical lowlands), archaeologists working elsewhere in the world who want to learn about South American prehistory in a single volume. The contributions of this seminal handbook have been commissioned from leading local and global authorities on South America. Authors present the dynamic evolutionary processes of the ancient societies and principal geographical regions of the continent and consider issues such as environmental setting and ecological adaptations, social equality/inequality, identity formation, long-distance/intercultural interaction, religious systems and their material manifestations, ideological orientations, and political and economic organization as these developed over time. The volume is organized thematically to promote and facilitate geographical comparisons, notably between the Andes and greater Amazonia. The bibliography section of each chapter is a valuable research tool in itself for readers wishing to delve deeper into the particular topics under consideration. Of particular merit and originality is the final section dealing with the ethics and practice of archaeology in South America today with each contribution written by a local scholar. This edited work presents long-term research results while simultaneously highlighting the most exciting new research and greatest archaeological problems recently resolved or still awaiting solution. Chapters are written in accessible language and each contribution includes maps and many other figures and photographs to illustrate the text. Handbook of South American Archaeology belongs on the bookshelf of every archaeologist working or living in South American but also will be of interest to those who study larger anthropological issues - such as cultural adaptation and state formation - in the prehistoric and historic periods. Public interest in biblical archaeology is at an all-time high, as television documentaries pull in millions of viewers to watch shows on the Exodus, the Ark of the Covenant, and the so-called Lost Tomb of Jesus.Important discoveries with relevance to the Bible are made virtually every year--during 2007 and 2008 alone researchers announced at least seven major discoveries in Israel, five of them in or near Jerusalem. Biblical Archaeology offers a passport into this fascinating realm, where ancient religion and modern science meet, and where tomorrow's discovery may answer a riddle that has lasted a thousand years. Archaeologist Eric H. Cline here offers a complete overview of this exciting field. He discusses the early pioneers, such as Sir William Matthew Flinders Petrie and William Foxwell Albright, the origins of biblical archaeology as a discipline, and the major controversies that first prompted explorers to go in search of objects and sites that would "prove" the Bible. He then surveys some of the most well-known biblical archaeologists, including Kathleen Kenyon and Yigael Yadin, the sites that are essential sources of knowledge for biblical archaeology, such as Hazor, Megiddo, Gezer, Lachish, Masada, and Jerusalem, and some of the most important discoveries that have been made, including the Dead Sea Scrolls, the Mesha Inscription, and the Tel Dan Stele.Subsequent chapters examine additional archaeological finds that shed further light on the Hebrew Bible and New Testament, the issue of potential frauds and forgeries, including the James Ossuary and the Jehoash Tablet, and future prospects of the field. One of the most appealing things about the Bible is its detailed, sometimes even over scrupulous, concern with the details of locations, buildings, and genealogies. Judaism and Christianity are religions that are squarely grounded in history and geography of ancient Near East. However, for the better part of the past two millennia there was a rather scarce physical evidence for most of the places and events that had been described in the Bible. That all started to change in the nineteenth century with the advent of what would now be considered the field of "Biblical Archeology." This is a rather fascinating topic in its own right, and this very short introduction does a great feat of introducing this discipline to the general readership. The first part of the book deals primarily with the history of Biblical Archeology. Its origins can be found in the middle of the nineteenth century when Westerners started accessing Palestine in ever-greater numbers. Unsurprisingly, most of the early archeologists were in one way or another religiously motivated, and a substantial number of them were either ministers or had other religious background. Even thought these early Biblical archeologists were by and large amateurs, their work and contributions to the field were quite remarkable. Over time the field has substantially matured, and this book does a great job of describing its evolution and most significant developments and findings. 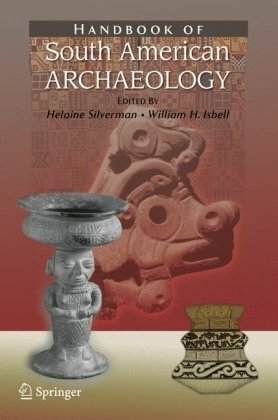 This book is in fact a great introduction to all of archeology, as many of the methods and techniques that are described herein are applicable in other archeological excavations as well. The second part of the book deals primarily with the evidence that has been obtained thus far for confirming or rejecting events and persons described in the Bible based solely on the archeological findings. Surprisingly or unsurprisingly, the general historical outlines that have been described in the Bible have received at least some support form archeology. However, there are also many biblical accounts for which the archeological evidence is still inconclusive. The book also does a fine job with discussing several recent probable forgeries that had received a lot of media attention. The evidence and counterevidence for the authenticity of artifacts such as the James' Ossuary and several others is presented clearly and fairly, and the reader can come up with his or her own conclusions. In the end, this book is a valuable first exposure to anyone who is interested in learning more about the archeology of the ancient Near East, whether they are religiously motivated or not. This is a very readable and accessible book and I highly recommend it. The book "Bible Archaeology..." is a wonderful companion to your daily bible study.The authors define archaeology for us "simple folks" so that our faith is reinforced and God's Word is made more alive!The book has over 200 high quality photos that will also reinforce the memories of those who have traveled to the Holy Land or the areas where Paul discipled the early Church.I recommend this book to all who love God's Word and who desire greater depth to their studies. In my intro classes, I get students who are hungry and excited to learn about archaeology. Mind you, all they know about 'archaeology' is usually from movies or programmes on the History Channel and PBS.Some of the mental image they have is correct, but they have many mis-perceptions also.This book gives a good introduction to what archaeology is, how it is carried out in the field, and what conclusions can (and more importantly CAN'T) be derived from the material record. It also gives historical background over the major periods of Biblical history - which is a good foundation for not only students of archaeology, but students of the Bible! I strongly recommend this book if you would like to learn the basics of archaeology, middle eastern history from ~5300 BCE to ~70 CE, or more about the world and cultures of the Bible. I believe if you read this book and study your Bible with it, you'll know more than probably 95% of the general population on this subject. 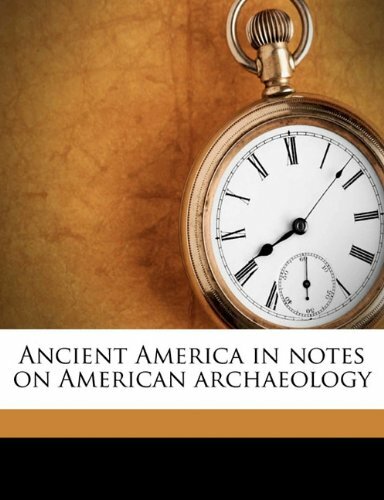 Hoerth and McRay have put together a helpful resource for people who want to know what kind, quantity, and quality of archaeological evidence exists for Bible times. Beginning with Mesopotamia and continuing with Egypt, Palestine, Persia, Turkey, Greece, and Italy, Hoerth and McRay systematically walk us through the archaeological finds pertaining to each of these regions and show us the significance to the Biblical narrative. Filled with hundreds of pictures and maps, Bible Archaeology can be a useful resource to own. Written in an easy-to-understand style, this book puts lots of useful information at your fingertips without forcing you to wade through the technical shop-talk. While using these resources is important, it is necessary to remember their limitations. The authors are neither inspired nor inerrant, their conclusions should not be accepted blindly as fact, and we should always try to corroborate their conclusions with other sources and experts. Having said that, I would recommend this book to pastors, youth pastors, small group leaders, and anyone else striving to strengthen the faith of fellow believers (or their own). This book is up to date and is well written and illustrated. It covers the entire Biblical text with emphasis given to each separate geographic area, i.e. Egypt, Mesopotamia, etc. Suitable for either a classroom text or for the general reader, it is a good place to start. A great way to introduce your kids to Ancient Near Eastern archaeology! As a kid, I had many backyard archaeological adventures, that in my childhood mind rivaled the excitement of the most recent Indiana Jones movie. Fortunately, my love of archaeology was more than just a passing boyhood fascination. It is an interest and passion that has stuck with me all the way into adulthood. Being somewhat of a self-proclaimed Bible nerd, archaeology of the Ancient Near East has always been a pet subject. As a homeschooling father, I have been searching for age appropriate resources to introduce my children to the exciting history and archaeology of the peoples of the Ancient Near East. Unfortunately my college archaeology textbooks just won't do as they are way too wordy for my 8 year old and don't have nearly enough pictures (let alone color pictures) for my 5 year old. For some time now, I have been on the lookout for a book with engaging color pictures, maps and drawings as well as biblically-relevant content that is accessible for a broad range of age groups. 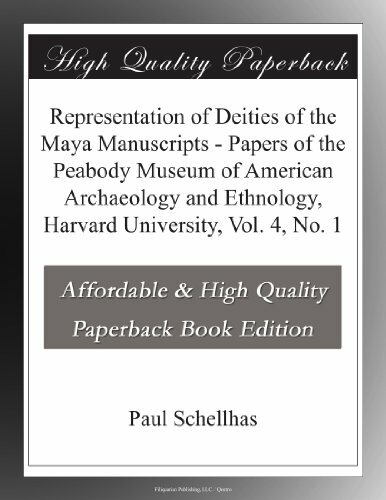 The Archaeology Book published by Master Books is exactly the type of resource I have been looking for. The Archaeology Book is the latest addition to the Wonders of Creation series. One distinct enhancement in this book over previous books in the series is that the chapters have been organized with three educational levels in mind. Level 1 content is coded yellow and is appropriate for 5th-6th graders, level 2 content is coded blue/gray and is appropriate for 7-8th graders, and level 3 content is coded white and is appropriate for 9th-11th graders. I believe this change enhances the return on investment for this book, allowing it to be more effectively used across multiple grade levels. A more detailed explanation of this new layout is found on page 5 of the book. I expect this layout will be also be utilized for future books in the Wonders of Creation series. Each chapter begins with five questions related to the who, what where, why and how of the chapter's topic. This is especially useful for letting readers know the key information they should be watching for as they work through the chapter. There are many words used in the book that may be new to younger readers. Each of the chapters with especially difficult or unique words includes a list of key terms (i.e. words to know). Definitions for these words can be found in the glossary / index on pages 94-95 at the back of the book. From beginning to end, readers of all ages will be captivated by the numerous full-color photos, maps, and detailed drawings found throughout the entire book. Children and adults will come away from this book with a better appreciation for the archaeology and history of the peoples of the Ancient ear East. I especially appreciated that David Down makes a good case for how the biblical record fits well with the ongoing discoveries being made in Ancient Near Eastern archaeology. He does an excellent job of putting the people groups in a biblical context, relating biblical accounts of the many people groups mentioned throughout the book. Based on the new content organizational structure, the general age range for this book is fifth through eleventh grades. While this is the target age range, my children as young as five listened intently and enjoyed the many pictures. We will be using The Archaeology Book as supplemental material for year one of Tapestry of Grace homeschool curriculum. If you are planning on incorporating The Archaeology Book into your homeschooling curriculum, you will want to download a copy of the great printable study guide that is available as a free PDF on the Master Books web site. David Down has experienced the wonders of archaeological discoveries in Egypt, the Middle East and Israel for over 48 years. David shares his latest discoveries in a monthly archaeology journal called "Diggings," and a bi-monthly magazine called "Archaeological Diggings" produced and distributed in the United States. This book was provided by Master Books for review. The reviewer was under no obligation to offer a favorable review. We homeschool our five children and I find all of the books in this series (Wonders of Creation) wonderfully helpful in our studies.We tend to be very eclectic in our method of schooling, basically creating our own "unit studies" around certain topics.If we want to study something, we find books related to that topic and we study it so thoroughly that the children basically retain the information forever.Homeschooling is such a blessing and I am grateful that publishers such as Master Books have made it so much easier by providing helpful, Bible-based materials to supplement our educational endeavors. "The Archaeology Book" is a publication of the Wonders of Creation multi-age format series, which allow the book to be used to teach at three different levels differentiated by color. Level One, on yellow background, is for 5th-6th grades and focuses on the who, what, where, why, and how questions of important archaeological and historical information. Level Two, text on blue-gray background, aims at grades 7-8 and digs deeper into historical/archaeological issues and discoveries, with added sections titled Words to Know and Reflections. Level Three, on white background, is suitable for 9th-11th grades and presents all previous material plus a section called Dig Deeper that "takes the reader into controversial and critical issues pertaining to historical accounts, chronologies, dating methods, and more." "The Archaeology Book" is a great introduction to archaeology and ancient history of the Middle Eastern lands of biblical times, including Egypt, Palestine, Syria and Jordan. As an introduction to the Dead Sea Scrolls, findings of modern archaeologists in Jerusalem and Palestine, and much more information, "The Archaeology Book " is a valuable resource for teachers and students ages 10 and up. "The Archaeology Book" contains a glossary, free downloadable study guide, and countless full color photographs of famous sites and digs and relics. "The Archaeology Book" is educational nonfiction about archaeology, with a focus on Bible-related archaeology, for grades 5-8. The full-color photographs of ancient ruins, digs, etc., were lovely, and the maps were useful. I liked the "David Downs Journal" sections which told of his experiences while on digs. Other archaeologists were also quoted describing a find or commenting on archaeology. There was a glossary in the back, though most words were either explained in the text or could be figured out from the context. There was a section on the Dead Sea Scrolls. It described ancient writing, writing material, the discovery of the Dead Sea Scrolls, where they were found, what was found, and how the scrolls were pieced back together. He described how critics said the Bible was full of copying errors, so I was very surprised and disappointed that he never explained that the Dead Sea Scrolls showed how accurately the Bible had been copied over thousands of years. He did mention that the many copies of the book of Daniel in the find meant that they thought Daniel was a genuine book of prophesy, but that's about it. Overall, the information was very good and was presented in an easy-to-understand and interesting fashion. The more difficult topics, like carbon-14 dating and the reasons for revising the Egyptian chronology, could have been explained in a little more depth, in my opinion, for the high schoolers. I think high schoolers would find the book pretty basic. The book had three levels of information. Grades 5 & 6 are supposed to read the sections with the yellow background. Grades 7 & 8 can read the sections with the yellow background and the blue background. Grades 9-11 can read all the sections (including those with the white background). Sometimes, this worked out. Other times, the information would be disjointed and confusing if read this way. For example, several times a story was being told and the background would switch from white to yellow (or blue) under the text of the story. Yet the yellow (or blue) section would make no sense without reading the white section first. The book as a whole seemed appropriate for grades 5-8. Personally, I'd recommend ignoring the colored backgrounds, letting the child read the whole thing, and helping anytime they have trouble. I've explained much more advanced chronological ideas to a 6th grader with no problem, so it may be just a matter of the child's reading level. I'd recommend this book as an interesting introduction to Biblical archaeology for tweens on up...as long as the reader also takes time to learn about how the Dead Sea Scrolls confirm the Bible's accuracy. I received this book as a review copy from the publisher. The Archaeology Book is the latest book in the Wonders of Creation series put out by Master Books.David Down puts over 40 years of archaeological knowledge into this book to provide the reader with unique insights into the field of archaeology. The book is set up in a multi-level format: level one - 5th to 6th grade, level two - 7th to 8th grade, and level three - 9th to 11th grade.As the levels get higher, the topics and information go more in depth.The first level covers the basics of who, what, where, why, and how.The second level allows the reader to reflect more on the information and includes words to know.The final level, level three, encourages readers to deep deeper into the subject matter.In addition to the different levels of study, readers will find tidbits from David Down in the form of DD's Journal. Topics covered in this book include: What is Archaeology?, Land of Egypt, The Hittites, Ur of the Chaldees, Assyria, Babylon: City of Gold, Persia, Petra, The Phoenicians, The Dead Sea Scrolls, and Israel.The book includes a brief glossary in the back.The book contains numerous beautiful photographs and illustrations to capture the readers attention and encourage their imagination. 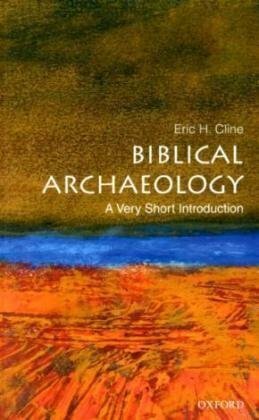 I found this to be a very nice resource to anyone who wants to start a study on archaeology or for reference material when studying different Biblical times. Who said that in short we can not do what is necessary? 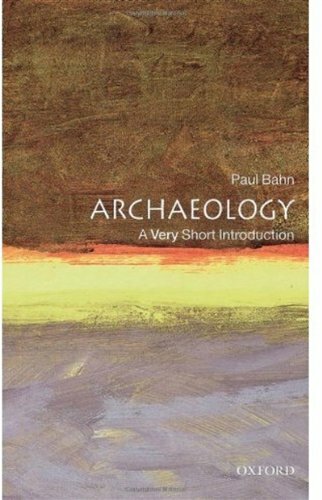 This is a book very simple, very short but were we can learn the basics of Archaeology, and understand what a wonderfulwork this is. 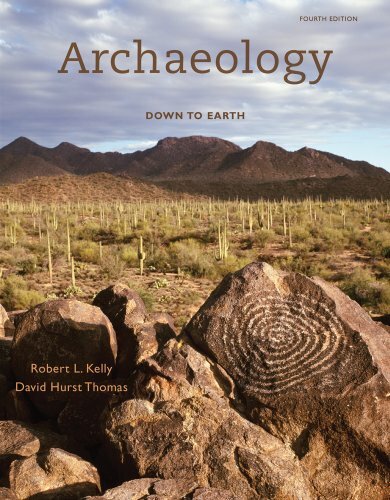 This is a great book for anyone interested in archaeology. It is well written and concise, and it is highly readable for the layperson. I would even go so far as to call it entertaining! The author brings a lot of information to the table, cuts it down into bite-size bits, and serves it up with a distinct tongue-in-cheek flavor. In the Preface to this excellent little book, the author says his intention is to give the reader a taste of the subject and to help students decide if they want to study archeology at University.It performs those tasks admirably.It quite rightly provides a very broad overview rather than going deeply into specific topics, but manages to cram in loads of interesting facts along the way.The tone is jocular, and sometimes the humor is rather forced ("Relative dating does not mean going out with your cousin") but for the most part it works, and Bill Tidy's cartoons are well up to standard. Bahn is pretty harsh with some modern archeological notions, and objectivity toward his peers is clearly not a priority with him, but I don't think this seriously distorts what he has to say. The very title betrays the fact that this is a British publication with British usage and spellings, but I did not spot anything that would cause a problem for an American reader. 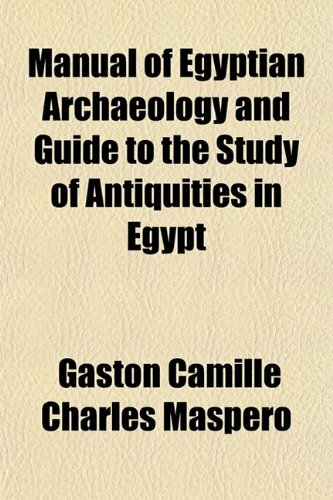 I do not know of a better short introduction to the subject than this book.Following this, you might want to read Egyptology, another excellent entry in the same series. ...maybe a tad too short.The book does a good job of explaining what archaeology is and how is works.From microwear to monuments, from dating methods to grave robbing, from gender issues to mass tourism, the book tries to touch on almost everything that is linked to archaeology or related to it.In some ways it tries to cover too much for such a small book and I finished the book wishing for more details on the history of archaeology and how it works. 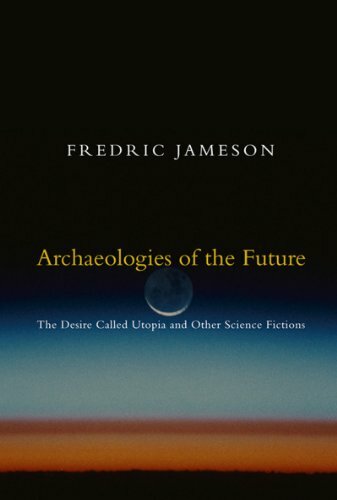 This would have been a better book if the author had given more examples of the aspects of archeology of which he spoke. 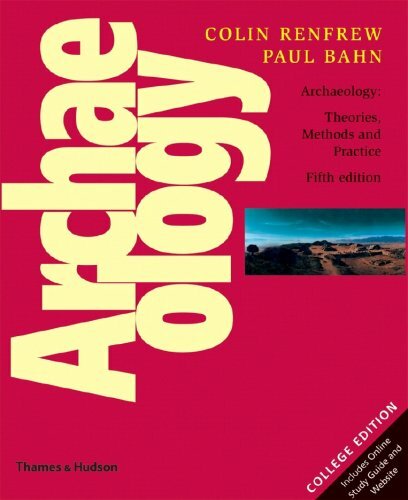 For instance, Bahn wrote about theoretical archeology, but he never described an instance in which a researcher used theoretical archeology to arrive at a particular conclusion. The book was easy to read, but I did not learn that much from it. Mostly what I got out of it was that carbon dating does not assume that the levels of radioactive carbon have been constant throughout history. Varves are a way of dating that involves counting the layers of annual sedimentation deposits in certain frosty locales. The book needed to be short, but I thought he should cut back on the breadth and provide more specific info about what he does discuss. Some of the discussions are pointless. He goes on at length about archeology's obligation to teach us about the past, but we all knew that anyway.